My buddy Joe over at 3widespicturevault.com made a batch of really cool T-shirts to support his website. I've read that the original batch is almost gone, and there probably won't be anymore made, so if you want one, you'd better click on this link and get busy. 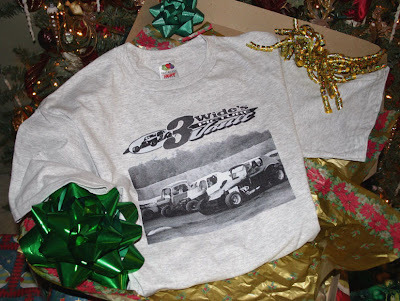 While you're at it, check out some of the other stuff for sale at 3Wide's gift shop, like some vintage Flemington Speedway DVDs.